Lost to gun violence on March 9, 2016 in Jefferson, Ohio. 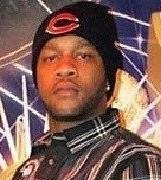 Michael Mays was shot and killed in the early morning hours of March 9, 2016. He is survived by four young children.